Believe me, I never wanted to collect dog turds from a public park as part of my research. It was Paul's idea really. If it really was true, as he claimed, that many of the stray dogs in the UK originally came from Oldton and were simply trying to find their way home, it followed that the chemical code of these dogs would be traceable back to a particular part of the country. 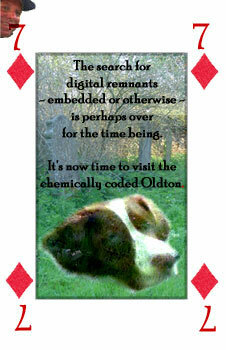 All I had to do was match the dog sample to the soil sample, and I would find Oldton. I have now analysed nearly 50 different dog turds and two dozen pieces of turf (several of them from Mitcham Common). I have yet to find a match. I have, though, learned a lot about chemistry.